I am SO looking forward to this upcoming school year! Y’all, this past year was just plain hard. We moved 1200 miles away from our entire extended family. We battled illness for months (and we rarely get sick). You can sum up our homeschool experience in one word: trudging. But you know what? That’s okay. Life happens. God is in our midst whether good or bad. It makes us appreciate the year that awaits us, with new friends and book clubs and a beach to explore. With 5 kids to teach, I like to do as much work together as possible. This looks a little different each year, depending on the books we use and what our yearly focus is going to be. I choose a couple of subjects each year that need a little extra attention. Last year it was math & science; this year it is history and writing. Our focus subjects are the ones that we do no matter what! Our group work lineup for grades K, 4th, 6th, 10th, & 12th includes: Bible, History, Geography, Writing, & Nature Study. 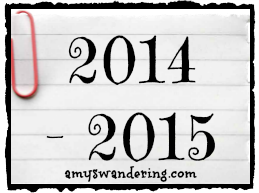 I took our hard year into account when planning this year because we all need a break from the trudging. Writing is one of those areas that can just be a beating for everyone involved, so I was determined to add it to our group playlist and have a bit of fun. Pinterest (once again) came to the rescue and I had a lightbulb moment when I found the Ultimate Guide to Creative Writing for Students. Creative Writing with the whole family for a full year? Well why not!?! 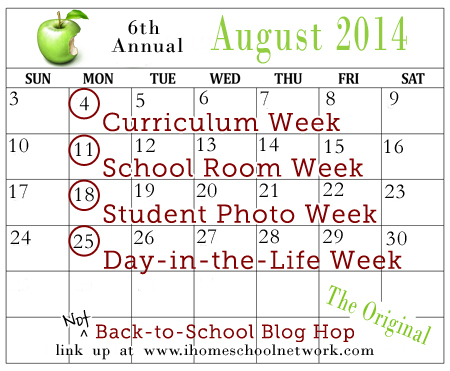 Head on over to iHomeschool Network’s Curriculum Week to browse curriculum lists and link up your own. There will be several hundred by the end of the week! What a great line up. Thanks for sharing the free worksheets that goes with Joy Hakins history books. Thanks for sharing your stuff. I have a 4th grader so I am checking out the rest of your site. Lots of good stuff. Not sure what state you are from but LOVED the ya’ll. I miss my Southern roots being from GA but stuck in MD. I feel stupid saying that here because people don’t get it. 🙂 Hope you have a better year. LOL We live in Florida, but are 100% Texan! !